The decision comes at what might have seemed to Halloran like a propitious time: just last week, the Supreme Court heard oral argument in McDonnell v. United States (15-474) a case in which the future viability of honest services fraud is being called into question. As noted below, the panel declined to hold Halloran’s case until McDonnell is decided. However, the panel’s decision also comes at a time when corruption in New York State government has drawn considerable scrutiny in the courts and in the press, with recent convictions of the leaders of both the New York State Senate and Assembly. In the second scheme, Halloran and Raj attempted to broker an arrangement whereby Malcolm Smith, a Democratic New York State Senator, would obtain a "Wilson-Pakula" authorization to run as a Republican in the 2013 New York City mayoral election without changing his political party. For Smith, obtaining a "Wilson-Pakula" authorization – named for the New York statute that provides for it – required, as a practical matter, the consent of at least three of the five Republican county chairs representing the five boroughs of New York City. Although Halloran succeeded in buying one county chairman's vote, a second declined the offer and contacted law enforcement authorities, who then arrested Halloran. At the outset of its analysis, the Second Circuit swiftly rejected Halloran's sufficiency of the evidence challenge regarding the discretionary funding scheme convictions. It then considered whether Halloran's conduct in connection with the Wilson-Pakula scheme violated the Travel Act and wire fraud statute. "[A] Travel Act conviction based on bribery," the panel explained, "requires an underlying violation of a federal or state bribery statute." The bribery statutes that underlay Halloran's Travel Act convictions were N.Y. Penal Law §§ 200.45 and 200.50, each of which proscribes an exchange of money "upon an agreement or understanding that some person will or may be appointed to a public office or designated or nominated as a candidate for public office." Halloran asserted that he had not participated in bribery within the meaning of those statutes because a Wilson-Pakula authorization "does not amount to a 'designat[ion] or nominat[ion] as a candidate for public office,' but merely gives a person the right to compete for such a nomination." In addressing that argument, the panel focused on use of the term "may be" in the phrase "agreement or understanding that some person will or may be . . . designated or nominated as a candidate for public office." It concluded the most natural read of that language was to cover situations where the agreement or understanding makes it "possible" or "permits" the person to be designated for public office. The panel concluded that a Wilson-Pakula authorization would have done precisely that for Smith. Based on its ensuing and thorough review of case law interpreting those New York statutes and their precursors, the panel confirmed its interpretation that "accepting bribes in exchange for an exercise of statutory authority that renders the bribe payer eligible to be nominated falls squarely within the category of abuses of power that the New York legislature was concerned with preventing." The panel next turned to Halloran’s challenge to his honest-services fraud convictions on the grounds that the applicable statute, 18 U.S.C. §§ 1343, 1346, is unconstitutionally vague as applied to his conduct in connection with the Wilson-Pakula scheme. 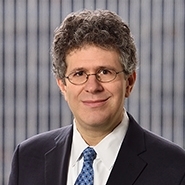 Specifically, Halloran asserted that because the statutory element requiring “a violation of fiduciary duty” is undefined – an ambiguity identified by Justice Scalia in his concurrence in Skilling v. United States, 561 U.S. 358 (2010), and by Judge Jacobs in his dissent from the en banc decision in United States v. Rybicki, 354 F.3d 124 (2d Cir. 2003) – he did not have “fair notice” of whether “the Republican county chairs were under a cognizable fiduciary duty to their party not to accept payments in exchange for approving Wilson-Pakulas,” or whether the existence of such a duty is dictated by federal or New York law. The panel was not persuaded by Halloran’s arguments. After first observing that the federal and New York standards for fiduciary duty are not materially different as they relate to the Wilson-Pakula conduct, the panel concluded that the county chairs’ status as unpaid volunteers did not negate the formation of a fiduciary duty to their party, and further, that the county chairs acted contrary to the interests of the party by “indiscriminately issu[ing] Wilson-Pakulas upon request (or to the highest bidder).” The actions of the county chairs had in fact run afoul of the very purpose of the Wilson-Pakula law, which, in the words of the New York Court of Appeals, “‘was to prevent the invasion or takeover of the party by outsiders. '” The panel additionally held that, even though it is the executive committees of the county Republican Party who issue Wilson-Pakulas and not the county chairs themselves, the county chairs wield “de facto control” over those decisions, which gives rise to a fiduciary duty that the county chairs owe their party. In a footnote, the Court denied Halloran’s request to hold the appeal in abeyance until after the McDonnell case is decided by the Supreme Court. First, McDonnell argued that he did not engage in “official acts” in exchange for the benefits that he received from campaign contributors. But there was no dispute here that Halloran engaged in official acts when he disbursed funds or issued Wilson-Pakula authorizations. Second, while McDonnell has asked the Supreme Court to hold that the honest services statute is unconstitutionally vague, this would be a departure from existing law in Skilling. In a final, Hail Mary attempt to overcome his honest-services fraud conviction, Halloran posited that in light of the Supreme Court’s Citizens United decision, “the institutionalized bribery of campaign finance . . . is constitutionally protected” under the First Amendment. The panel, unsurprisingly, declined to interpret Citizens United as “hold[ing] that the First Department protects bribery,” and it instead highlighted Citizens United’s recognition of the public interest “in preventing ‘quid pro quo corruption’ or the appearance thereof.” Halloran’s conduct, in the panel’s view, was the embodiment of quid pro quo corruption. In some sense, Citizens United may validate the late Professor Paul Freund’s comment about Buckley v. Valeo (“They say that money talks. I thought that was the problem, not the solution”), but it is not yet a license to accept bribes. The panel summarily disposed of Halloran’s remaining arguments (relating to his sentencing, an alleged Brady violation, and proof of jurisdictional elements) in a handful of paragraphs. Halloran is an entertaining read for its colorful facts, but its value to litigants as a lodestar for interpreting the “fiduciary duty” element of the honest-services fraud statute is limited. Because the Wilson-Pakula context is so unique, the panel’s decision offers little guidance as to the nature, scope, and source of the fiduciary duty that must be violated to give rise to a breach of the statute. It seems reasonable to expect that until more concrete benchmarks are established, or until the Supreme Court decides the McDonnell appeal, defendants will continue to challenge the constitutionality of 18 U.S.C. § 1346 as applied to them, and district courts will be required to engage in sui generis analyses to identify whether a fiduciary duty has been violated in each case.